Sylvia Turner | BMSS, LLC. Sylvia joined BMSS in 2016 as an intern and became a full-time staff accountant in 2017. Her primary duties include providing tax and assurance services to a variety of clients in a variety of industries in order to gain the experience needed to build a strong foundation for success in the accounting world. Described as unconventional and honest, Sylvia chose to go into accounting after taking an accounting principles class. She loved the fact that accounting is like a puzzle that you must figure out and piece together. Her favorite quote is “Passion is energy. Feel the power that comes from focusing on what excites you.” This inspires her to center her aspirations around actions that bring her joy and create positive energy, which creates a better work environment for everyone. 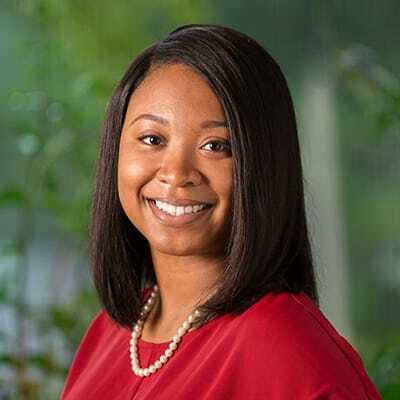 Growing up on a small farm in Gainesville, Alabama, Sylvia was inspired to go into the business field because of her father, who is a small business owner, and her older sister, who is a CFA. In her spare time, she enjoys “YouTubing,” traveling and learning about different cultures and history.